I’ve crossed the line. 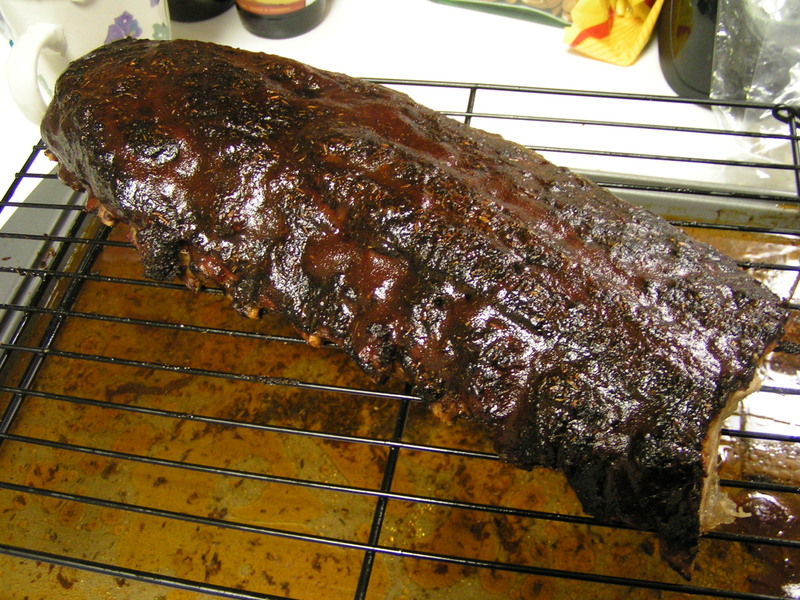 I’ve finally done her in ribs in the oven. And they were pretty awesome. And they were tender and juicy on the inside, and crusty on the outside… 😛 I felt like a goddess! I read up on ribs the other day at Amazing Ribs. Had picked up a slab of baby backs on sale. Yay sale! So what did I learn??? Hmmmmmm???? 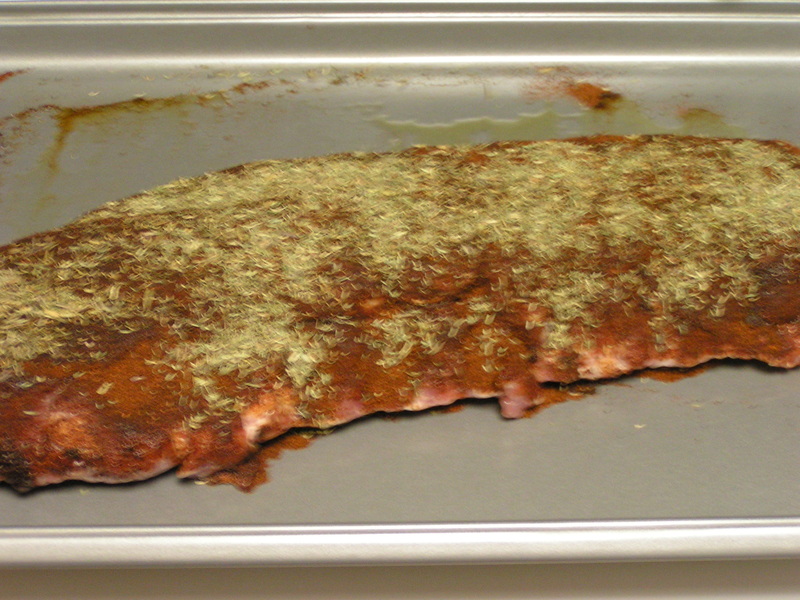 After rubbing the meaty side only of the ribs with olive oil, I made a crust of dried thyme and New Mexico chili powder, and coated the rack liberally. Only on the meaty side. Then, not having the suggested broiler rack, but having been given a heads up by The Queen on some kitchen innovation, I balanced a cookie cooling rack on top of a deep baking pan. I’d have used a roaster if I had one! After broiling with the bony side up for about 8-10 minutes with the oven door open a bit, I pulled out the entire thing and flipped it over. Turned the oven down to 225F and put it back in, meaty side up. And didn’t have to clean the grill. Hard to ask for more than that on a busy day. I’m glad it worked for you! Yay! 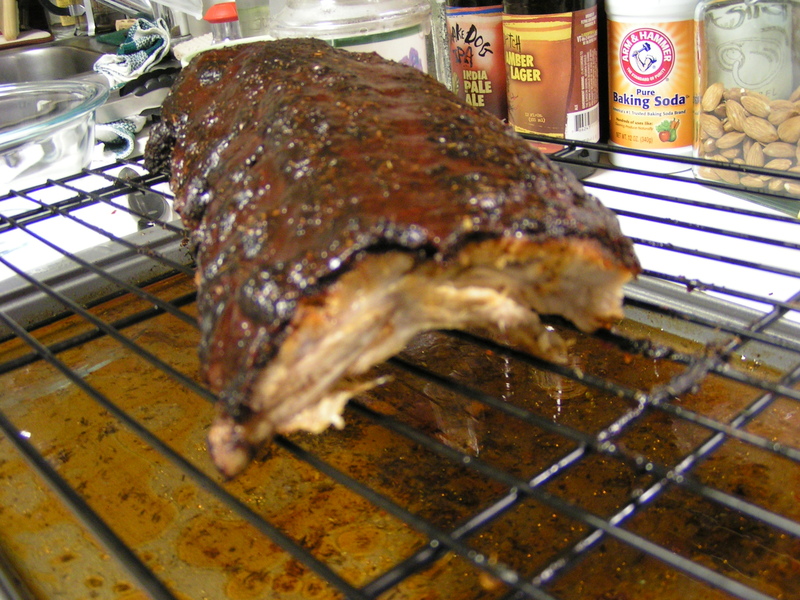 I agree about ribs being saucy and sticky…. but then I am not a TX native…. one of those pesky transplants! 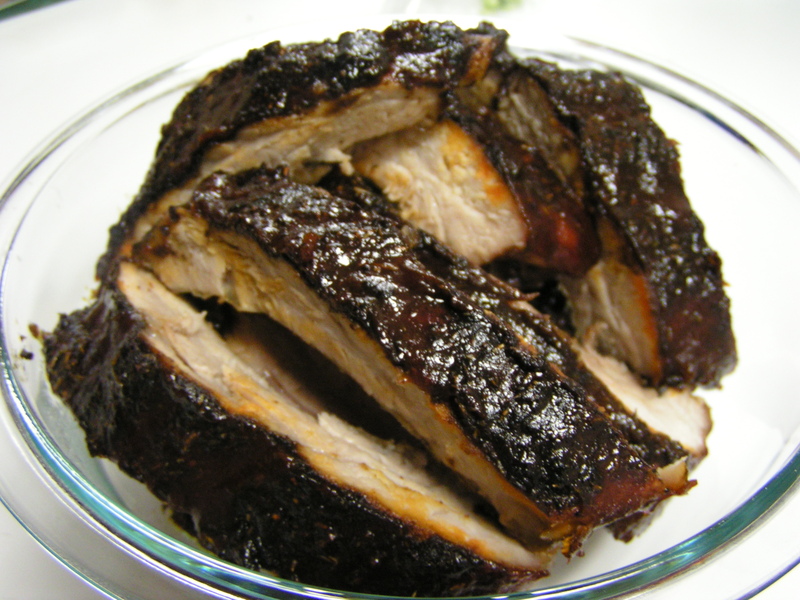 I do mine in the crockpot, and ZOMG!! they come out awesome.